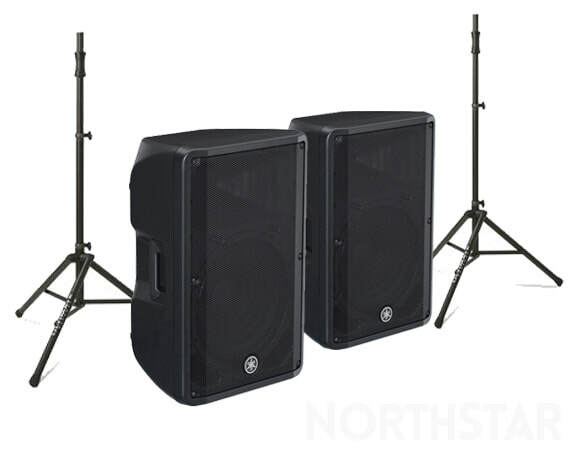 Our range of professional portable PA systems and speakers cater for events of any size, type or budget from a simple small sound system for a house party or business presentation right up to large systems for live performance, festivals and corporate events. 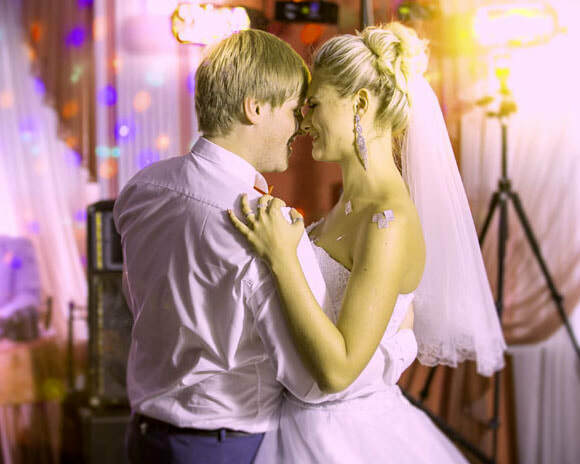 ​If you are not sure which system is right for your event please contact us and we will be happy to provide professional advice. 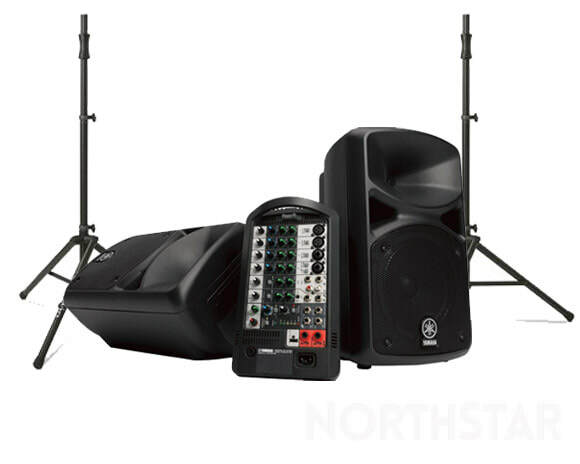 Ultra-compact and portable PA system with 100W of peak power output. ​Built-in rechargeable battery pack provides up to 20 hours of operation making it perfect for small outdoor events where there is no power supply. 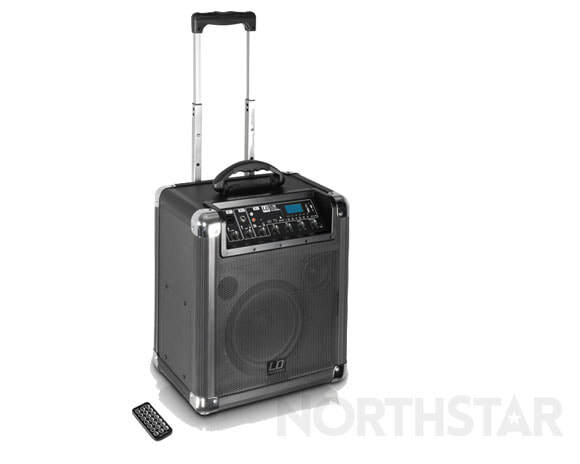 Compact 150 Watt portable PA system. Includes 4 channel mixer for connecting microphones, instruments, DJ equipment and portable devices. Perfect for small to medium venues with up to 50 people. 10 channel mixer for connecting microphones, instruments, DJ equipment and portable devices. 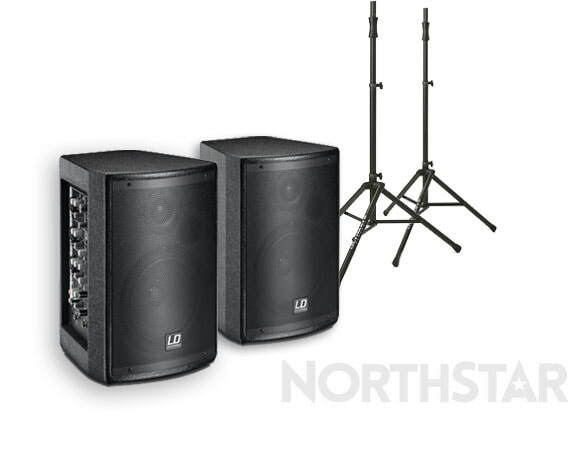 Compact, powerful professional active PA speakers delivering crystal clear audio with a combined 2000 Watts of peak power. ​Built in 2 channel mixer allows you to connect microphones or audio equipment direct. 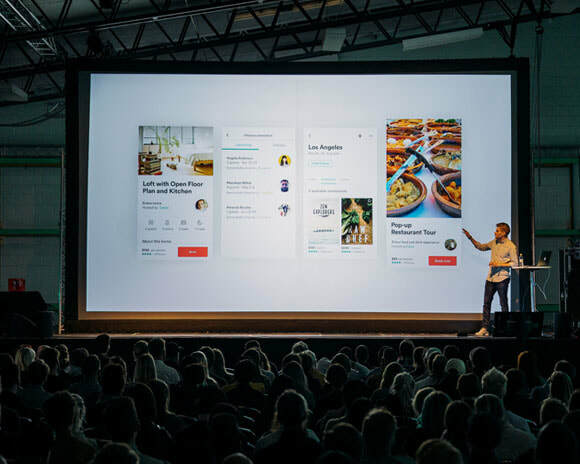 Perfect for medium sized venues with up to 200 people. 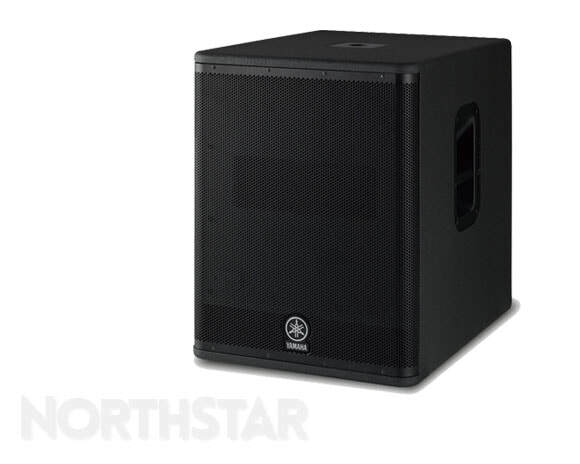 Powerful, professional active PA speakers with a combined 2000 Watts of peak power and 15" low frequency drivers for added bass response. Built in 2 channel mixer allows you to connect microphones or audio equipment direct. 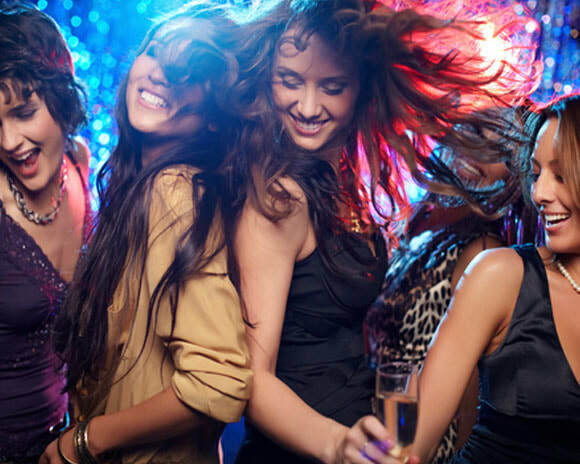 Suitable for larger venues with up to 350 people. With a powerful class D amplifier, long travel 15" woofer and onboard DSP this subwoofer delivers impressive bass with high power output. 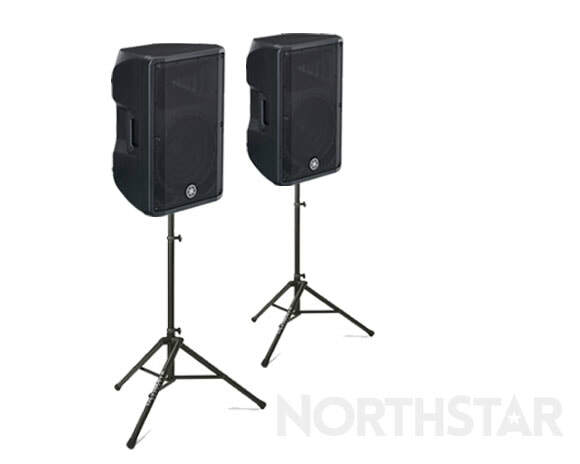 Combine with Yamaha active PA speakers for larger venues with up to 1000 people.